If you are looking for a career opportunity, why not consider one of the many jobs in criminal justice? These officers oversee suspects who were arrested and are awaiting trail, or have already received their jail or prison sentence. Due to potential conflicts with inmates, correctional officers need to be on high alert at all times. You must attend a training academy before your first day on the job, and if you want to work at the federal level, you may need a college degree and/or related work experience. The salary is approximately $39,040 a year. State troopers keep an eye on drivers to make sure all vehicular laws are followed. The job duties include issuing traffic citations, giving Breathalyzer tests, and assisting motorists after a motor vehicle accident. You will need to complete a 12 to 14 week police academy in order to work as a state trooper. The median salary is $55,000, but in some states it is much higher. According to the U.S. Bureau of Labor Statistics, you can earn around $84,320 in California and $68,510 in New York. Also known as animal control officers, they help keep pets safe from abuse or neglect. 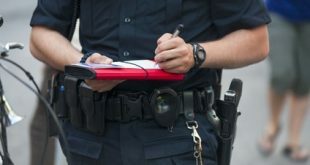 Part of the job requires them to investigate abuse claims, remove animals from harmful situations, and collect evidence in the event a suspect is prosecuted. Requirements depend on the state in which you live. You may need to complete basic law enforcement training or have worked in a law enforcement career such as security or military police. Today many colleges are offering courses in animal abuse and investigations. The average salary is $31,000 per year. Federal air marshals ride undercover on airplanes in an attempt to prevent a terrorist attack or other criminal activity from taking place on the flight. Air marshals must have a bachelor’s degree in any field or three years related experience. Graduating from a residential training program is also required. Salaries are based on pay grades and range from $39,358 to $172,550. Private detectives have many duties including surveillance, running background checks, locating missing persons, and investigating computer crimes. To work in this field, you need a high school diploma, several years of law enforcement experience, and a license. The median salary is around $45,740. There is nearly 6,000 miles of land the United States shares with either Canada or Mexico, along with over 2,000 miles of coastal waters. Border patrol agents are responsible for protecting Americans from terrorist attacks, drug and human smuggling, illegal migration, and more. You must be under 37 years of age at the time you are hired, pass a medical exam and drug test, and speak fluent Spanish or be willing to learn. The average yearly salary is $64,000. Agents of the Drug Enforcement Agency work to enforce the country’s laws regarding controlled substances. Agents are often involved with investigating and prosecuting terrorist groups due to the ties the they usually have with a variety of drugs and drug trafficking. It is common for a DEA agent to work undercover. A bachelor’s degree in criminal justice or law enforcement is preferred, and applicants should also have related experience such as serving as a police officer at the local, state, military, or federal level. Salaries range from $49,476 to $92,592. These officers meet with their assigned offenders to make sure they are following the terms of probation. This may include confirming employment or if they are attending any required meetings. Requirements for working as a probation officer depend on the agency, but generally you need a bachelor’s degree in corrections, criminal justice, psychology, or social work. Average salary is $39,000 per year. If you would like to learn more about these jobs, please contact us. Next Do You Want to Work As a Private Duty Nurse? 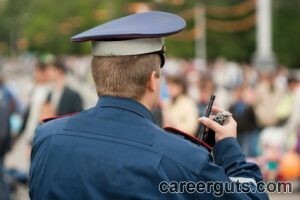 What Type of Criminal Justice Internships are Available?